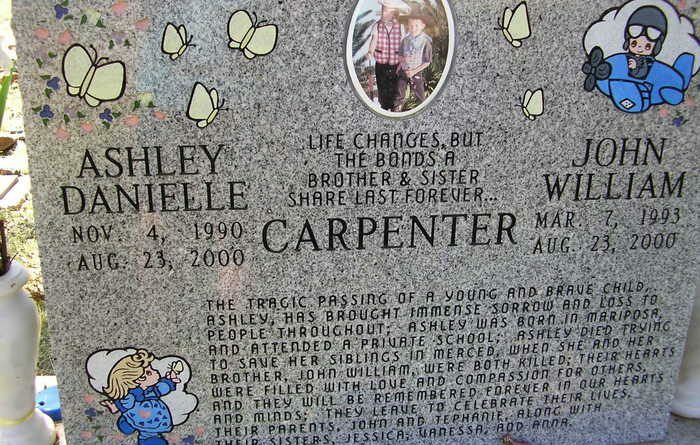 On August 23, 2000, a stark naked 27-yr old Jonathon Bruce disabled the phone lines to the Carpenter home in quiet Merced, California and then walked inside and murdered 7-yr old John and 9-yr old Ashley Carpenter by stabbing them to death with a pitchfork. The media reports on the story tried to figure out why Bruce attacked the family that he had no prior connection to, but very intentionally left out a major part of the story. 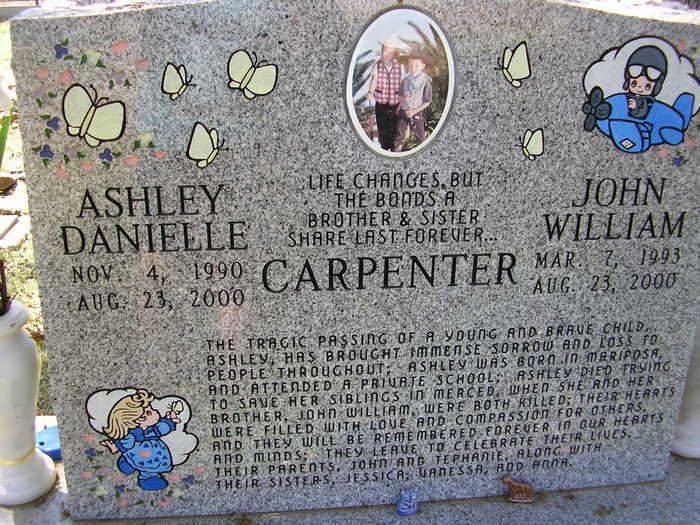 Omitted from the story was the fact that the Carpenter children were murdered at the hands of Jonathon Bruce, but he was aided by California’s insane storage laws that require all handguns to be locked up when not in use. More than that, gun owners who allow children access to loaded firearms face enhanced penalties. And it was fear of those gun control laws that prompted John Carpenter to leave his .357 Magnum revolver securely locked when he left for work for the day. With John at work and Tephanie Carpenter gone getting the brakes on the family car checked, 14-yr old Jessica was left in charge of her four siblings, Anna, 13; Vanessa, 11; Ashley, 9; and John, 7. Jessica soon heard noises coming from the living room portion of the house, and that is where she first encountered Bruce, holding his pitchfork and totally naked. Discovering that the phone was dead, Jessica’s next thought was of her Dad’s .357, a handgun that she had been taught to shoot. In fact, all of the other Carpenter children knew how to shoot the revolver and all had passed basic firearms/hunters safety courses. As she entered her parent’s bedroom, she realized that the revolver was out of reach and then was hit with the sinking realization that her dad left the revolver unloaded in deference to the laws — and she had no idea where the ammo was. Hearing the screams of her younger siblings but lacking the physical strength to defend them herself, Jessica and two of her sisters climbed through the window and ran to a neighbor’s house for help. The neighbor, Juan Fuentes, did not go to the Carpenter’s home to assist despite the girls’ pleading, but he did allow Jessica to call the police. Sheriff’s deputies arrived shortly and were charged by Bruce, who was still armed with his pitchfork. The deputies had to fire 16 rounds, in two separate volleys, to kill Bruce. The media never mentioned a word about the fact that California’s gun laws played a major role in the Carpenter children’s murders. John Carpenter’s children are probably dead because John obeyed the laws of the state of California…he was more afraid of the law than of somebody coming in for his family. This is the horrific reality of gun control, something that gun owners need to always keep in mind. We are not fighting for a sterile document or a cold, philosophic concept. Real people live or die every day in this country based on whether or not they are armed and able to fight back. Politicians who try to shame gun owners into giving up a portion of our freedoms, calling them reasonable regulations, need to be opposed with all of the energy and derision gun owners can muster. Do innocent children die in this country due to negligence involving firearms? Yes. Is that a horrible thing? Yes. But the number of children and adults that are saved every year by armed citizens numbers between 500,000 and 1,500,000! I’m sure the Carpenter family would agree. ← Armed Citizen Assists Police in Shootout!